The 2019 Land Rover Discovery Sport is fully equipped with enough safety technology to keep you safe on the Glen Cove back roads and beyond. Explore the Discovery Sport safety technology at Land Rover Freeport to see why the Land Rover Discovery earned high safety ratings for a small SUV, then take the Discovery Sport for a test drive around Great Neck today. Terrain Response® offers multiple drive modes including General Driving, Grass/Gravel/Snow, Mud/Ruts, and Sand in order to give you the best performance it can no matter the terrain. 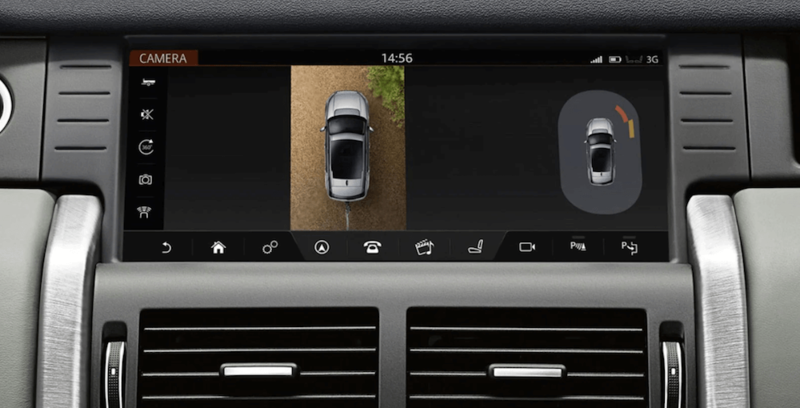 Gradient Release Control prevents the Discovery Sport from accelerating too quickly and holds the brake when you’re stopped on an incline to keep you from rolling back the instant your foot comes off the brake to accelerate. All-Terrain Progress Control (ATPC) takes into consideration the driving conditions to help keep your vehicle moving at a steady speed so you can focus on navigating smoothly. Hill Descent Control (HDC®) assists in maintaining a constant speed when climbing difficult slopes as well as applying the brakes to each wheel separately for more control. Active Driveline is an optional feature that disconnects the drive to the rear wheels when not needed and increases fuel economy. Built strong and equipped to keep you entertained as well as safe, the new Discovery Sport provides all you need on your Great Neck adventures. Find out more about this model, compare it to the 2019 Discovery then contact our Land Rover dealership in Freeport with any questions. Once you’re ready, make the trip to Land Rover Freeport for a test drive today. There’s more to the Land Rover Discovery Sport than meets the eye. Discover all features on the Land Rover Discovery Sport when you schedule a test drive today.